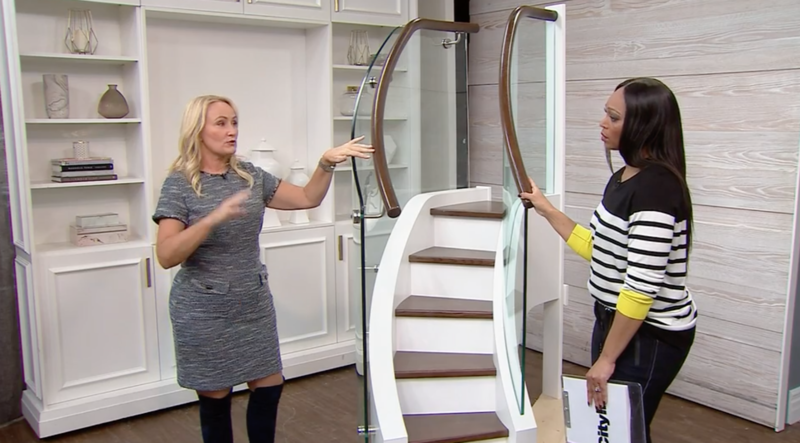 City Line - Home Day - Royal Oak Railing & Stair Ltd.
Karen Sealy talks about “don’t be intimidated by your stairs and railings”. While showing Royal Oak Railing and Stair product line, Karen points out that you have the option of changing or renovating your stairs/rails to meet your specific design. CityLine is a Canadian talk show and lifestyle television program hosted by Tracy Moore produced for the Citytv network at flagship station CITY-DT. Each show has a theme that changes daily. These include “Around the House”, “Family Day”, “Home Day”, and “Fashion Friday”. It is Canada’s longest running, daytime show specifically targeted to women.